So if you’re toting around a battered old bag that’s seen better days, it’s time to overhaul your receptacles with one of AW17’s key bag trends. Sleek versions (think black leather) continue to offer the perfect balance between practical and sophisticated, but for AW17 the style is taking on a more rugged, tactile vibe in earthy colours and materials such as suede and canvas. Weekend bags have had a similar facelift for AW17. While there’s only so much experimenting that can be done with a practical carry-all before it loses purpose, swapping a plain overnight bag for something more interesting will take the style stakes of a trip away up a notch. For a solid utilitarian take, enlist the military. This season’s examples are found in hardwearing canvas, leather or waxed cotton fabrics that resist wear and tear, with webbed strapping and a proliferation of pockets, earning it the title of a true utility piece. The purpose of the briefcase has become somewhat complicated in recent years. 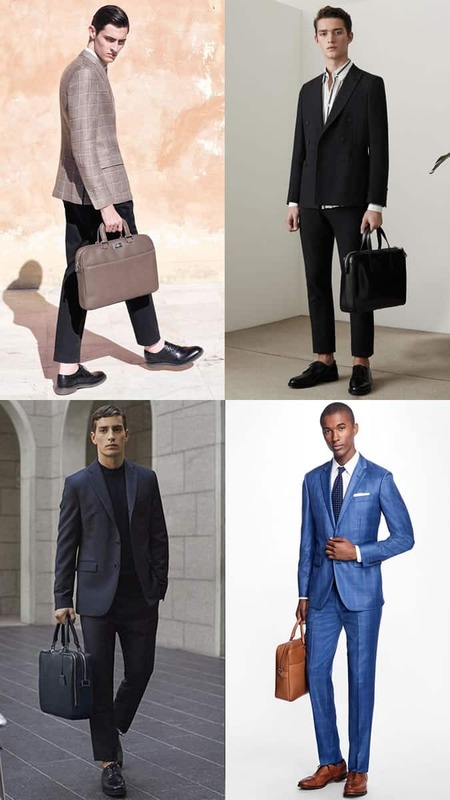 With most other bags now handsome (and smart) enough to meet the needs of the nine-to-five thanks to the rise of business-casual dress codes, the sharp elegance of the once-ubiquitous work bag has been made redundant. “No other bag suits modern living quite as perfectly as the messenger,” says Barbour’s director of menswear and accessories, Ian Bergin. Useful compartments, all easy access but also weather-proof, it’s a bag designed to be used on the move. “It’s classic, practical and masculine – it takes you back to a time when life was a lot simpler,” says Grenson owner and creative director Tim Little. The key to this bag being an astute everyday choice – in contrast to the briefcase – is to opt for a model with a structured body. Unlike the grubby, tattered edges of those carried by angst-ridden adolescents, an example crafted from leather will not only stand up to the rigours of daily wear but also get better the more you use it. 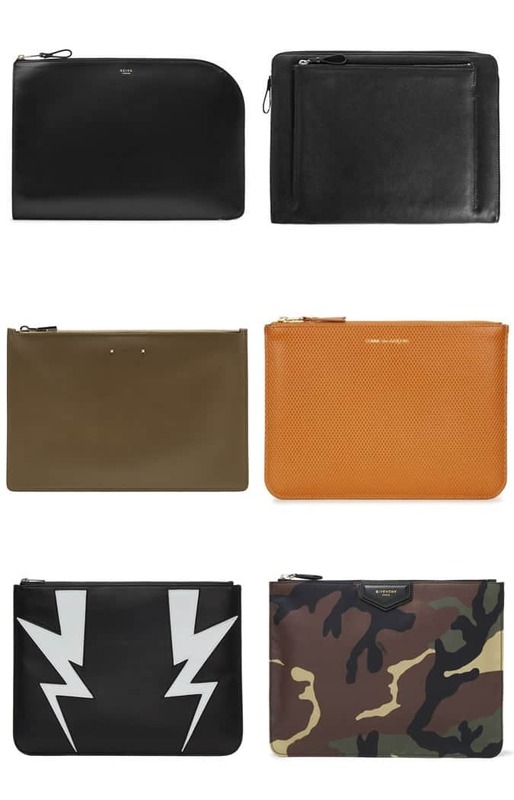 This is the season the male clutch goes mainstream (just don’t call it a ‘mutch’). To help it get there, the modern document wallet comes in a variety of guises for AW17. Similar to current denim trends, patches and appliques on an otherwise classic design add personality to what’s usually a sombre accessory. 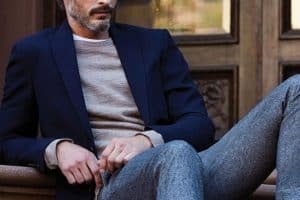 “It’ll elevate a normal work outfit and make you stand out amongst your peers,” says Henry Graham, co-founder of luxury independent retailer Wolf & Badger. 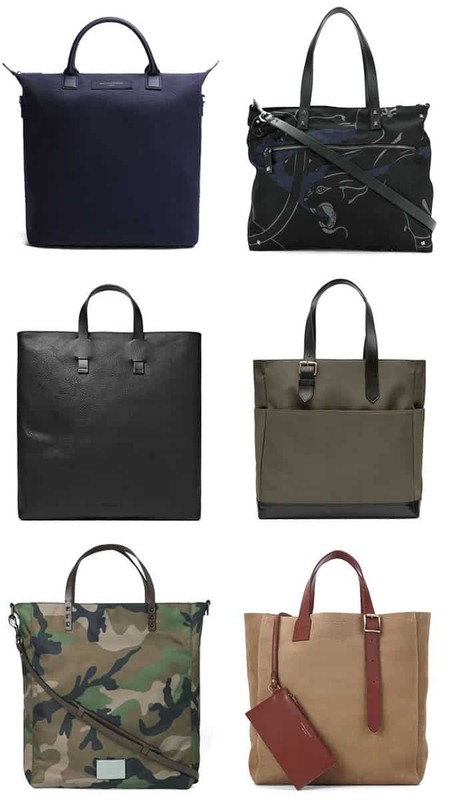 “Because the tote is carried at arm’s length, you can get away with a much more vivid design than if it was strapped to your body,” says celebrity stylist Phill Tarling. As a result, tongue-in-cheek slogans, bolshy logos, all-over prints and crayon-box shades are all making an appearance this season. Bum bag, fanny pack, midriff-circumjacent, pecuniary-safeguarding receptacle — whatever alias they go by in your book, all you need to know is that this nineties staple is trending hard for AW17. Granted, few pieces are as fashion Marmite, so providing you haven’t already thrown your laptop out of the window in disgust, it’s important to learn how to pull one off without looking like a tourist. Luxury and high-street brands have been turning out a range of ultra-pricey and wallet-friendly styles, respectively, for a couple of years now. But however much you spend, stylist Alex Longmore recommends plumping for a pouch made from a premium-looking fabric. Colour also plays a key role, too. Neutral and seasonally appropriate shades like navy and burgundy will help it come off more designer than drug dealer.